Our weekly dance classes focus on ballet and tap, but a gradual introduction to jazz is made as the dancers get older and progress. The younger students get introduced to a social environment and get the opportunity to learn not only dance and all that goes along with it (motor skills, coordination, rhythm), but also learn valuable social skills needed for later life, such as respect, discipline and appropriate manners for the classroom. These age groups perform a tap and ballet dance in the annual recital. We have weekly combination classes that work in the disciplines of jazz, tap and ballet for all ages and levels. We also have a separate technique class in ballet for those students wishing to dance more than once a week. Our students get a complete dance education through the teaching of steps and focusing on proper terminology. The dancers also learn about themselves and their bodies through the discussion of muscle groups, the skeletal system, body posture and nutrition. These dancers perform three or more numbers, depending on number of classes taken, in the annual recital. We offer 30 min Hip Hop Classes. Hip Hop includes a fun warm up and stretching, tricking, funky floor work and combinations. Students perform one routine in our annual recital. We focus on proper tumbling technique for Beginner-Intermediate-Advanced Levels. We also work with tumblers on stunting and pyramids. Tumblers are part of our spring show. 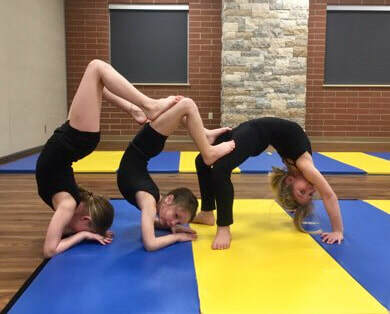 ***New in 2019...we are adding Competitive Acro as well as our Recreational Program! Dance Express & Tumbling also participates in three local competitions per year as well as a number of community performances. In order to be a competition dancer or tumbler. Students must go through the audition process or receive an invitation. At least one strong year of dance training is recommended for the Comp Dance & Tumbling Crew.. There are combinations taught in jazz, tap, lyrical/ballet and hip-hop and Tumbling (for those on the acro side). All competition crew members are required to purchase all necessary costumes and accessories for each routine. Dancers are required to take ballet technique class as well as their weekly combination class. ​Competition Tumblers will also compete in 2-3 local competitions a year. They will have 1-1.5 hours of training a week in tumbling/acro. 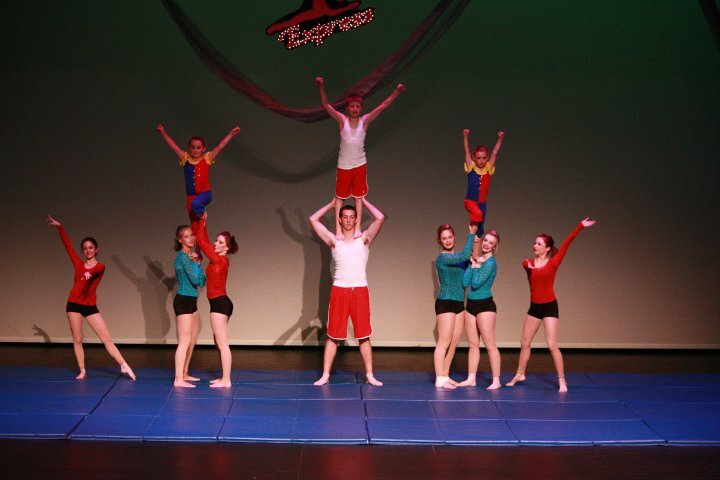 The appropriate class and level for each student is entirely determined but the Dance Express & Tumbling Staff. If a child is more advanced, a higher level of class may be needed to heighten the dancer's ability and give them a challenge. In most cases, students are with others their own age. Students are not placed because of friendships or how long they have been dancing. They are being placed strictly by the level of technique that they demonstrate on a weekly basis. Students progress at different levels at different times. Advancing a student to the next level before they are ready can stress a dancer. Please trust the staff in our decision for class placement. We are professionals and want to do what is best for your dancer. What do we wear for classes?